On June 26, the Washington Hospitality Association Government Affairs Committee met to endorse legislative candidates ahead of the 2018 primary election. During May and June, the State Government Affairs Team met with candidates across the state on both sides of the aisle. From these meetings, the team made endorsement recommendations to the Government Affairs Committee (GAC). As an organization committed to helping hospitality association members secure industry wins, the GAC endorsed candidates who will best represent their district, are friendly to business and the hospitality industry and who will help maintain balance in the state legislature. Click here to see the list of all the endorsed candidates. 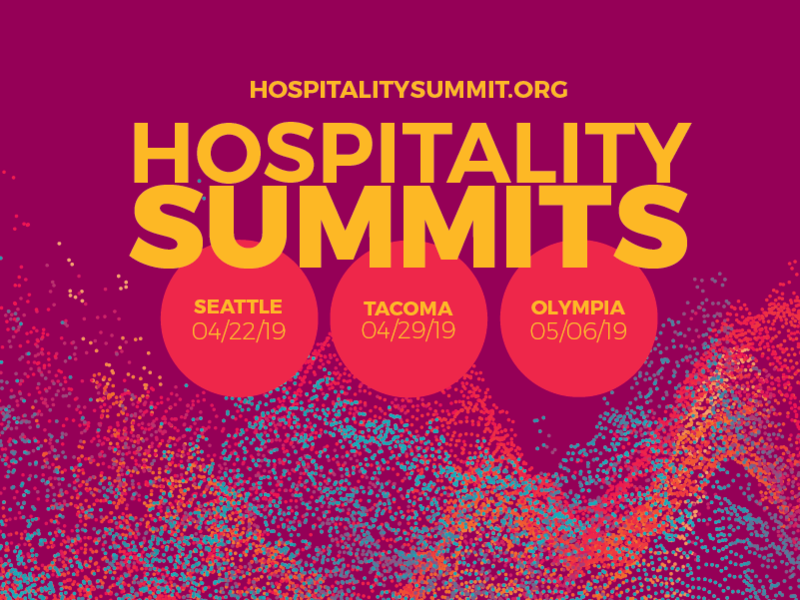 Help Grow the Washington Hospitality Association PAC! Did you know that the Washington Hospitality Association is among the largest business Political Action Committees (PAC) in the state? Funded entirely through generous donations from our members, the PAC’s goals are to educate candidates and lawmakers about the hospitality industry, support candidates who support our industry, and help influence the outcome of elections to help make it easier to own a small business in Washington state. We can’t do this alone! Please remember that in addition to donating to the PAC, you can also help support Washington Hospitality endorsed candidates in your local area. Click here to find out who we have endorsed. If you would like to contribute to the Washington Hospitality Association PAC, please call us today at 360.956.7279 or email Morgan Hickel. Seattle’s compostable straws and utensils requirement begins July 1. All foodservice straws and utensils must be approved compostable by the city of Seattle. Check the approved products list from Cedar Grove Composting or Lenz Composting. Learn more about the new requirements on the Seattle Restaurant Alliance website. On Tuesday, the Tacoma City Council approved the addition of a one-tenth of 1 percent sales tax increase on the November ballot to benefit Tacoma Creates, an arts, science and cultural education program. If passed, the proposed increase would last for seven years and would be implemented on January 1, 2019. Additionally, if moved forward, the proposed sales tax increase would cost an average Tacoma household an additional $13 per year and would increase the city’s sales tax rate higher than the sales tax in Seattle, according to the Tacoma News Tribune. The Washington Department of Revenue provides a mobile app to help identify the sales tax in any location around the state. Click here to learn more about the app. Tip pooling with heart-of-house team members is now legal in Washington state. Implementing at your restaurant? Here is our NEW! Tip Pooling Employee Toolkit to share with your team. In national news on Monday, the U.S. Supreme Court denied our tip pooling petition, which concludes our challenge to the federal 2011 tip pooling regulations. What does this mean to you? In practical terms, nothing. Go forth and tip pool as long as you do not include supervisors, managers or owners in the tip pool. 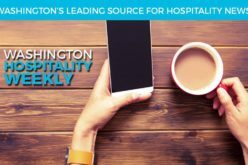 The Washington Hospitality Bluebook takes competitiveness benchmarks and statistics to the next level by directly applying them to the state’s largest employer segment – hospitality. If you are an ambassador in the industry, this publication will arm you with statistics and data. Please note that the Bluebook’s first edition focuses on restaurants and foodservice. We are actively working with new and potential partners to integrate lodging, tourism and entertainment in the next edition. Each copy of the Hospitality Bluebook is $10. Order here. For more information, email bluebook@wahospitality.org. Don’t miss this great video recap of the news you need to know. This week’s topics include the Washington Hospitality Convention and compliance with the European Union’s General Data Protection Regulation (GDPR). Round Table Clubhouse and Pierce County Project Access on Dine NW – Listen Online! Don’t miss this week’s DineNW radio show, now online. Andy Cook and Paul Schlienz kick off the show with Paul Barbano, owner of Bonney Lake’s Round Table Clubhouse. Andy and Paul then interview Timm Dowling, director of development at Pierce County Project Access, a network of health care professionals who donate care to uninsured, low-income residents of Pierce County.